Visit Samoa from New Zealand! You haven’t travelled to Samoa while being in New Zealand? Don’t miss the opportunity! 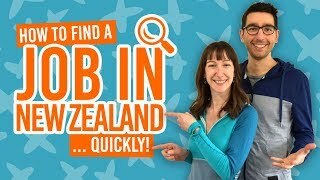 This South Pacific group of 10 islands is just under a 4-hour relatively cheap flight from Auckland, giving you the perfect excuse to take a quick trip to paradise (remember that a New Zealand working holiday visa is usually multi-entry) or your next backpacking destination in the South Pacific. So why go to Samoa? Not only does the country offer your usual beach-bum paradise island activities, but the islands are rugged with volcanic landscape. With that, there’s endless natural wonders and land formations to discover, from 100-metre waterfalls to blowholes that shoot coconuts 30 metres into the air! If you love swimming, then Samoa has some insanely beautiful swimming holes with clear waters and natural rock slides. For those who have limited time in Samoa, you’re likely to spend your time on Upolu, where the airport is located. However, if you simply can’t leave this wild and naturally stunning corner of the earth, then include Savai’i in your itinerary too by taking the ferry from Mulifanua Wharf in Western Upolu. By the way, did you check out our guides to Fiji, the Cook Islands, Vanuatu and New Caledonia? Although Samoan cultures welcomes visitors, there are a few protocols to remember when travelling outside of the resorts. Avoid walking through village during evening prayer curfew (usually between 6-7pm). Sunday is the day of rest in Samoa. Expect many services and attractions to be closed on Sundays. Most natural attractions in Samoa require you to pay an entry fee, as they belong to a village, family or individual. Don’t wear skimpy clothing in villages. Remove shoes before entering a fale (Samoan thatched shelter). A common base and usual starting point for a Samoan adventure is usually Apia. The capital of Samoa is more like a charming town than a capital city, with blend of old colonial architecture mixed with modern refurbishing mostly following the main road, Beach Road. The harbour location provides amazing views across the water, while the sight of Mt Vaea reaches 472 metres behind the town. Whether you stay here for accommodation or just come for a visit, be sure to check out the local food at the traditional Samoan marketplace. Buy your water and other supplies in Apia (or any other serviced towns you can find), because these sort of items are not easily bought in other areas of the islands. Don’t forget your togs (Kiwi for swimwear), because you can’t miss the opportunity to swim in this unreal swimming holes. Slide off waterfalls, jump into clear-as-day ocean trenches, and snorkel in underwater caves. As for the beaches, where do we start? The tree-lined white sand beaches are that of any paradise island fantasy. Having snorkel gear is a must to watch the abundance of tropical fish. Most beaches are based on the edges of resorts, so you may need to pay to use their facilities such as a beach fale. It’s the one you have seen on all the photos of Samoa: the To Sua Ocean Trench. A long wooden ladder leads deep into one of the best swimming holes in the South Pacific. Take the South Coast Road near the village of Lotogagu to find the two ocean trenches in the area. One of the trenches is only accessible by swimming through a cave. Be careful of strong currents. At high tide, take the walking track to see some blowholes. To add a bit of simple fun to your water activities, check out the Papaseea Sliding Rocks. The natural rock slide’s main attraction is the 5-metre waterfall that launches you into a the deep freshwater pool. Access is easy by taking the bus or taxi from Apia. Be aware that there is a small entrance fee. Swim, snorkel and explore the underwater caves of the Piula Cave Pool. Find the pool on the east side of Apia, through the entrance of the Piula Methodist Theological College. Note that the pool is closed on Sundays. Samoa has no lack of waterfalls, but if you are looking to swim with a view of a waterfall, then Togitogiga Falls is the place. The cascading falls are separated by a swimming hole. However, be careful of rocks and logs before you launch yourself in there. There are toilet and changing room facilities. Find the falls on the Main South Coast Road between Maninoa and Poutasi. Put on your hiking shoes and explore Upolu’s wild side for the day. The northeast of Upolu is as wild as it gets with the Uafato Conservation Area packed with native bats and birds. Look out for the rare tooth-billed pigeon with its dark burgundy feathers and curved beak. On the south coast you can take a guided canoe tour of the mangrove forests, either from Saanapu or Sataoa villages. On the volcanic side of things, explore the crater of a long-extinct volcano on the Lalomanu Crater Walk. Access is behind the hospital at Lalomanu. Here, you can find a large population of flying foxes – bats with a 1.5-metre wingspan. Finally, the most spectacular waterfall photo-op is Papapapai-Tai Falls, also known as Tiavi Falls. Watch the water tumble 100 metres into a dramatic gorge. Access is 2.3km south of Lanoto’s Road. Another waterfall well worth discovering is the powerful Sopoaga Falls found on Le Mafa Pass Road. Savai’i is Samoa’s largest island at 1065sq km. Less developed than Upolu, the landscape is rugged with volcanic features like craters, lava fields and steep gorges. If you are spending five days or more in Samoa, then you can’t miss the wanderlust experience this island has to offer. Make sure you stock up on food and water at the Salelologa, which is the island’s main service centre. For epic sunset views, spend the evening at Falealupo, home of Moso’s Footprint. This unusual lava crack is said to the the footprint of a giant. While in the area, take the Canopy Walkway for treetop views. Walk in the lava fields and rainforest of the Tafua Peninsula. There is a one-hour walk from the base of the Tafua volcano to and around the volcano rim. For a more challenging adventure, go with a guide to the summit on Mt Silisili (1858 metres). The trip takes 2-3 days and gives you the best views in Samoa. Pack warm clothing, a torch and possibly a tent. (Ask your guide). See buildings preserved in time of what remains of Mt Matavanu’s 1905-11 eruptions. Two church buildings remain engulfed in hardened lava. Only a local guide and an entrance fee will allow you to see the site. A whole different landscape, which looks like a moon rather than a tropical island, lies in the lava fields of Mt Matavanu. The best place to view them is from the crater, a rough drive then 2km hike with Crater Man, the self-appointed caretaker of the volcano. Be aware you will need to pay an entry fee to him. Samoa isn’t Samoa without some wonderful waterfalls and swimming holes. There’s more of that to choose from in Savai’i. Take the South Coast Road then a dirt road to Afu Aau Falls (Olemoe Falls) where the water emerges from dense rainforest and drops into a swimming hole. Next, check out Mataolealelo Pool, a natural spring near the village of Safune. A small fee is payable for both of these sites. Possibly the biggest highlight of Savai’i is the Alofaaga Blowholes, a short walk from Taga Village. Watch water shoot 30 metres up in the air with thurderous force and noise. There is likely to be a local around throwing coconuts into the holes for everyone’s entertainment. After watching the flying coconuts, take the coastal track for several hours to the the ancient village of Fagaloa. You’ll be rewarded with a waterfall and beach cambination, perfect for swimming in. Magic. A fee is payable for this activity or see this experience as part of an island tour which can be booked here. We are kind of jealous. This gives you the perfect opportunity to get well and truly off the beaten track and explore the outer islands of Samoa. Apolima Island – The fourth largest island lies between Upolu and Savai’i. The one village has 150 people. Fanuatapu – A popular day trip island just off the eastern tip of Uplou. Manono Island – Take the boat from Manono-uta to this third-most populated island. Visit the historic Star Mound, and Grave of 99 Stones. Namua Island – Off Upolu Island, stay in a fale and enjoy the stunning beach and reef. Nuulope Island – A uninhabited island just off Manono Island. This is a great snorkelling spot if you head on a tour there. Nuusafee Island – A perfectly circular island off the southern coast of Uplou. Nuutele Island – Dramatic cliffs can be seen from Lalomanu on the southeastern point of Uplou. It is visted frequently by nesting turtles. Visit more tropical paradises in the South Pacific from New Zealand! Where to stay in Samoa? 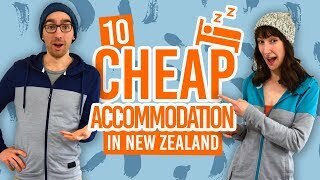 There are no backpacker hostels in Samoa. Alternatively, use the budget accommodation options of lodges, hotels and beach fales. 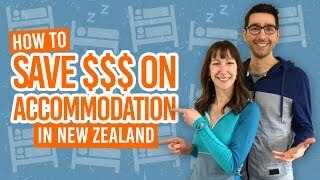 Expect to pay ST$100-150 (NZ$55-90) per single room per night or ST$200-250 (NZ$115-145) for a double room per night. Some prices may include breakfast.